What’s your daily skin care regimen? Do you have one? I’ve spent years working on a skin care routine and due to aging, environment, and life stress, I change it up regularly based on what my skin needs at the time. I’m pretty low maintenance when it comes to how much I spend on makeup and skin care, but I’m serious about always using some kind of product to protect and help my skin. 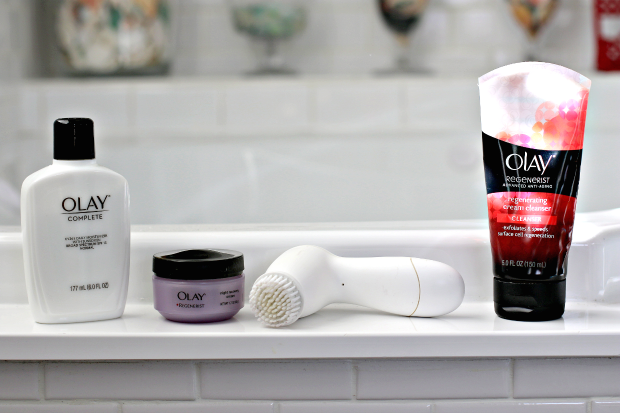 Let’s talk about what I’m using in my routine right now, and what you can do rightthisminute to address the needs of your skin. My go-to for skincare is Olay. 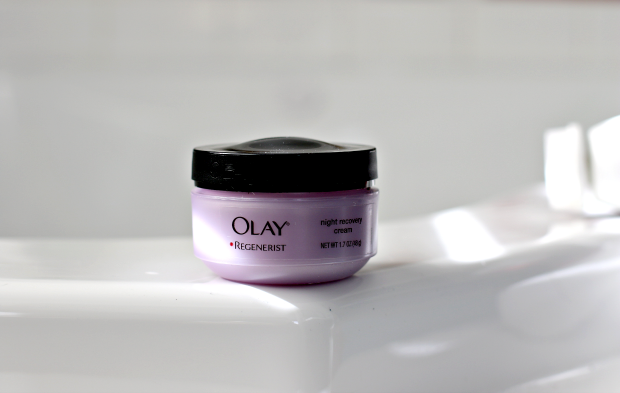 I’ve been using Olay moisturizer for as long as I can remember, and have loved it just as long. I have sensitive skin, and Olay uses gentle ingredients that don’t cause allergic reactions for me. Which is a big deal for sensitive skin. Anyway, let’s get to what I’m using to keep my face looking fresh. Several years ago I bought an Olay face brush (it’s now called the Olay Advanced Cleansing System), which I love. 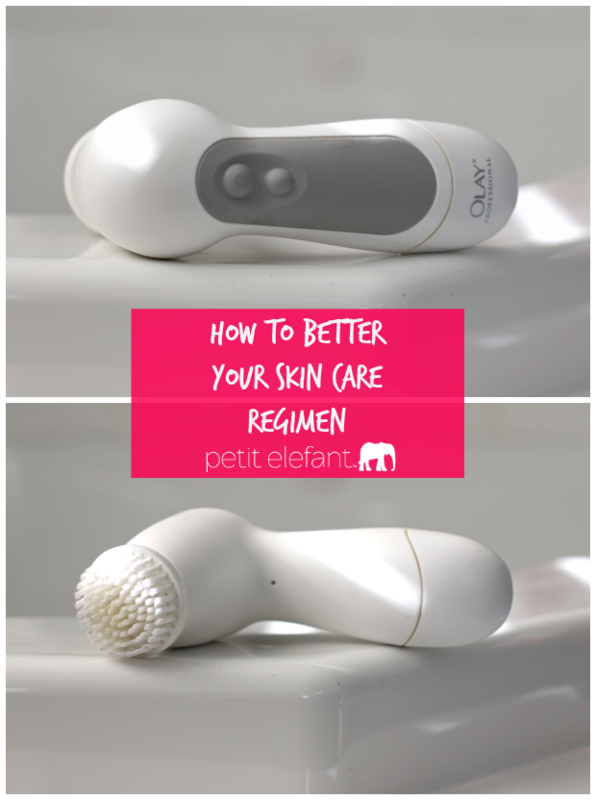 A few times a week, after I’ve removed my daily makeup and while my face is still wet, I put about two pea sized dots of Olay Regenerating Cream Cleanser on both my cheeks and use the brush (aka ‘Cleansing System’) to scrub my face, before I rinse with lukewarm water and pat dry. The brush feels amazing, and my skin is so. soft. when I’m done! I love how clean and fresh it feels after I use the brush on my face. 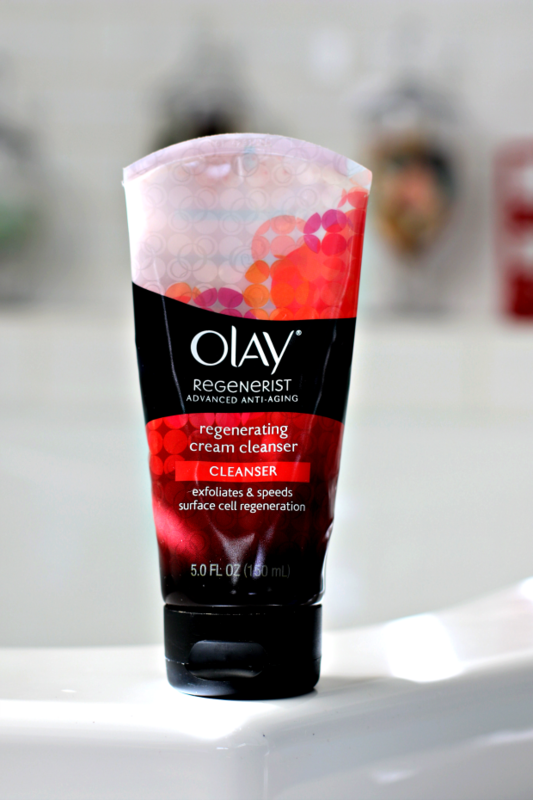 Then if it’s nighttime, I apply Olay Regenerist Night Recovery Cream. It smells delicious and moisturizes my face while I sleep. I love, love, love it. 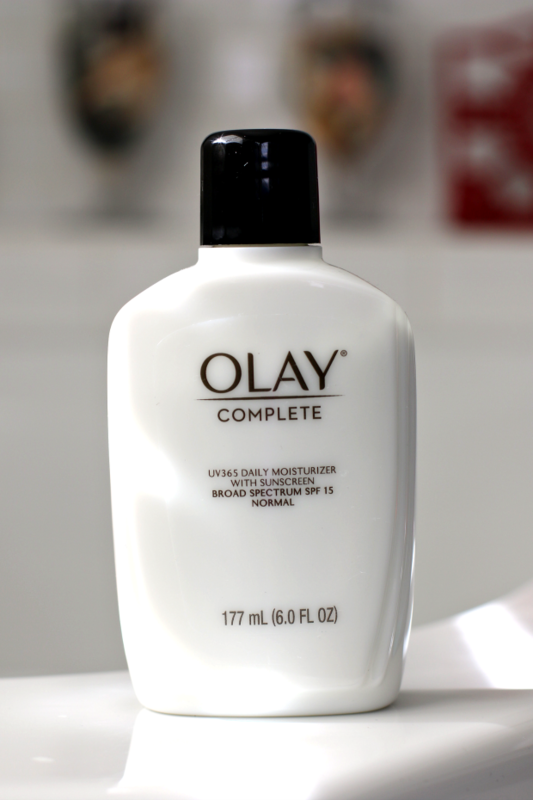 If it’s daytime I use my go-to, Olay Complete Daily Moisturizer. It has broad spectrum SPF and is so lightweight I don’t know I’m wearing it, which is one of my must-have’s in a moisturizer. 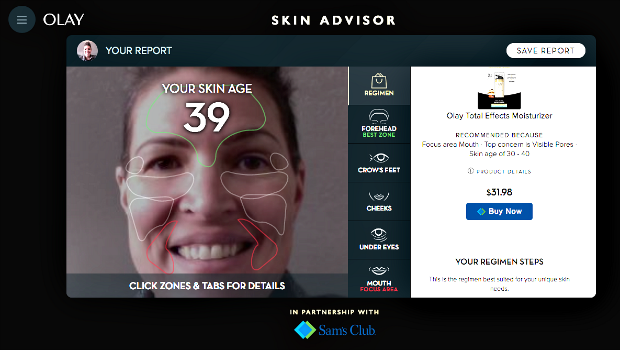 I must be doing something right with my daily skin care regimen because I used the Olay Skin Advisor tool and, based on a selfie, it guessed my skin age was 39. I turned 40 last September so I’m thrilled my skin looks one year younger than my actual age. The Skin Advisor is pretty cool. It only takes a minute to snap a selfie and get an evaluation on your skin and which areas to focus on to put your best face forward, (get it? ha!). 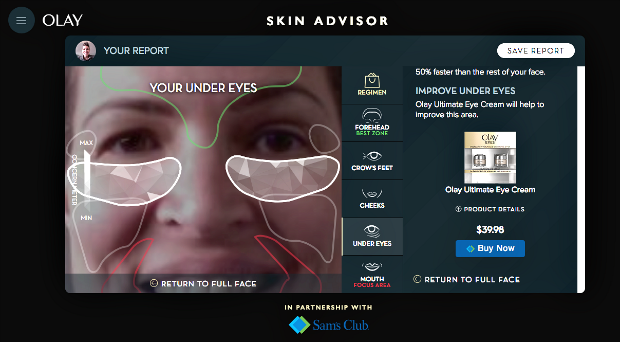 It also offers product suggestions you can buy directly from Sam’s Club on the Skin Advisor tool, if you like, to help with your trouble spots. I’m sure you don’t have any of those, your skin is beautiful, I can tell from here. But just in case you want to lower your skin age a bit, try it out! I hope all of this helps you find a way to better your daily skin care regimen, so you can rock your life. I’d love to hear about your skin care regimen. What are your go-to products? What do you love so much you’d take with you to a desert island? This is a sponsored conversation written by me on behalf of Olay at Sam’s Club. The opinions and text are all mine. << Hello Friends + Happy New Year! I happy to see the benefits of these…Before read this i was want to take complete review of OLAY and i get it.